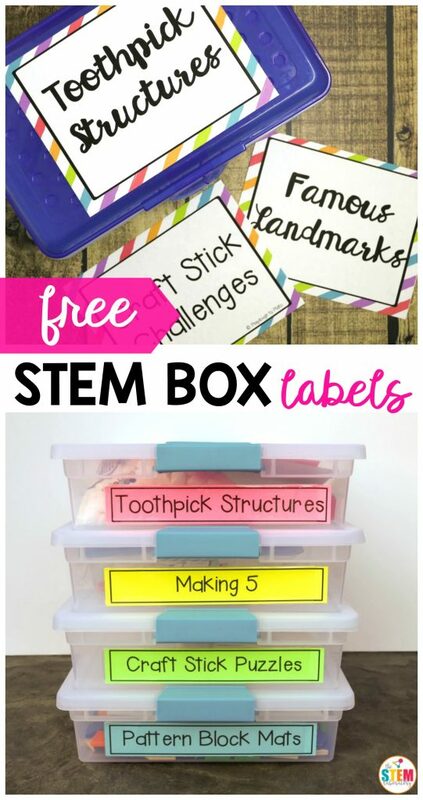 If you love organizing supplies as much as I do, these free editable STEM box labels are a must. 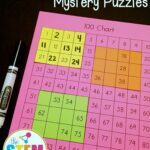 Grab your set below and then hop over to snag our best selling Endless STEM Bundle too! 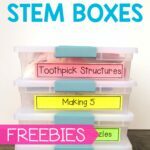 Let’s take a closer look at the pros and cons of the three most popular STEM box choices so that you can pick the one that works best for your classroom. First up, we have the least expensive option (yay! ): Ziploc storage containers like these ones from Amazon. 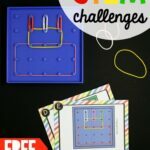 Aside from being cost effective, two other advantages are that they easily stack on top of each other and are small enough that you can fit a big collection of STEM challenges in a relatively small area. Unfortunately, the containers break pretty easily so you’ll need to keep back ups on hand so you can quickly swap out broken ones. Plus they are too small to hold record sheets so you’ll need a separate storage system like this paper sorter. Pencil boxes are another favorite choice because you can grab them for just 99 cents a piece during back to school season. 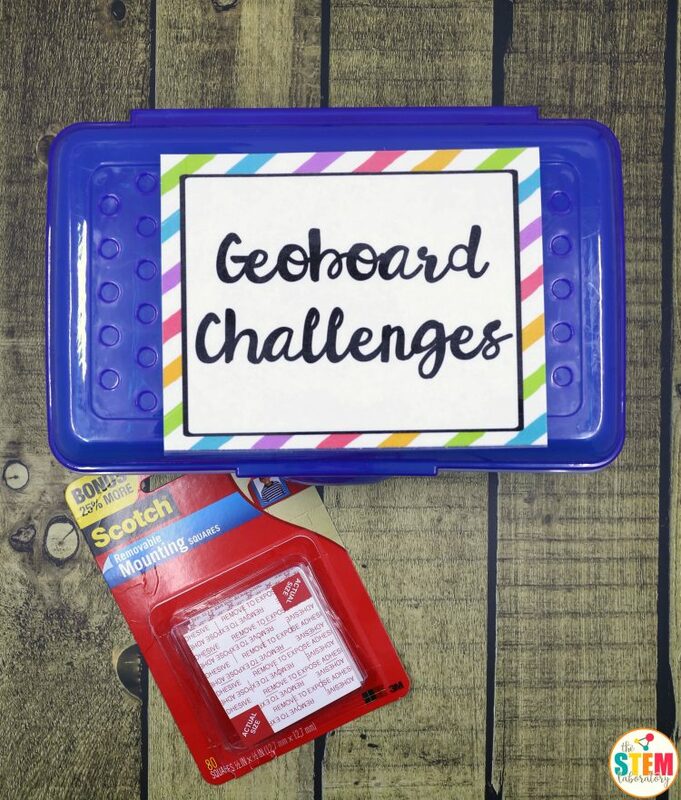 Like the Ziploc containers, pencil boxes are compact enough that you can fit many in a tight space and they stack easily. 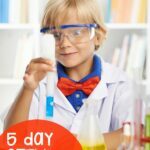 They are slightly more expensive, however they also tend to be much more durable so you won’t need to purchase replacements nearly as often – a plus! The big downside?! Record sheets need to be stored separately because the boxes are too small to fit them. I saved my personal favorite for last: large clip boxes like these. 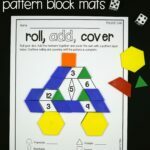 At closer to $5 a piece, they are the most expensive option in the bunch but they’re extremely durable and are wide enough to fit record sheets inside so students can find everything in one spot. 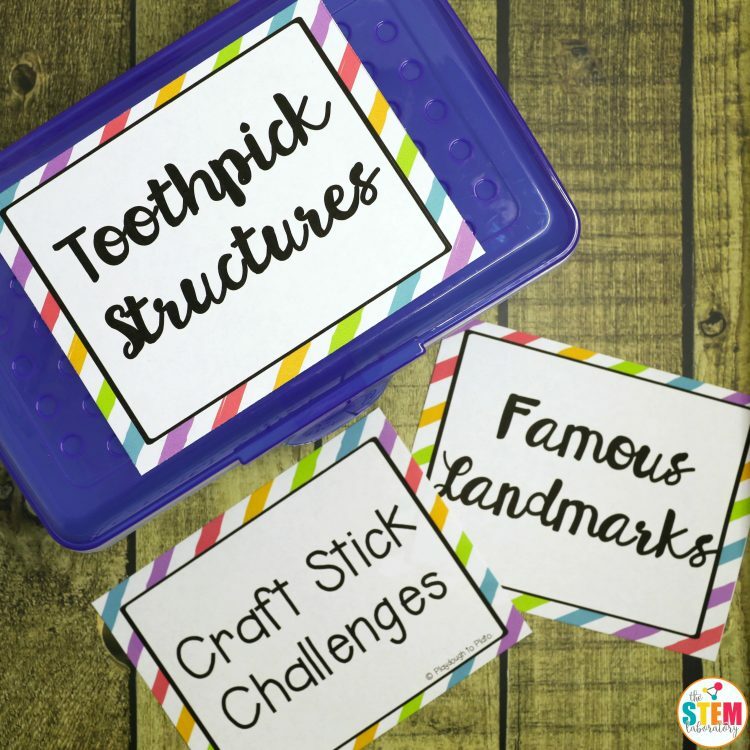 When it comes to busy classrooms, I like to keep my organization simple… especially when it comes to independent activities like STEM centers. And having record sheets in the same container as supplies makes it so. much. smoother. Once you pick the boxes that will work best in your space, it’s time to snag some editable labels. 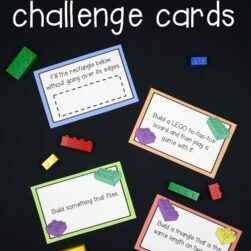 I’ll be passing along several activities to fill your boxes tomorrow but, in the meantime, download your labels (below) and then decide how you’re going to secure them to each box. I scored a pack of thin, adhesive labeling pockets like these in the Target Dollar Spot a couple weeks back. I stuck one to the front of each clip box and printed the labels on colored paper before cutting them apart and sliding one into each pocket. 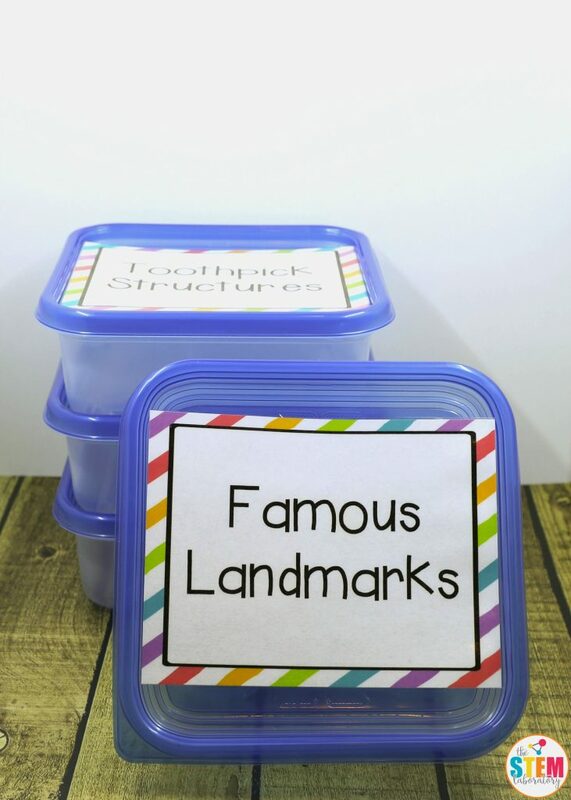 Alternatively, if you decide to use Ziploc containers or pencil boxes, you can print the labels and laminate them before cutting them apart. Then use Scotch mounting squares to adhere each one to the top of your box. 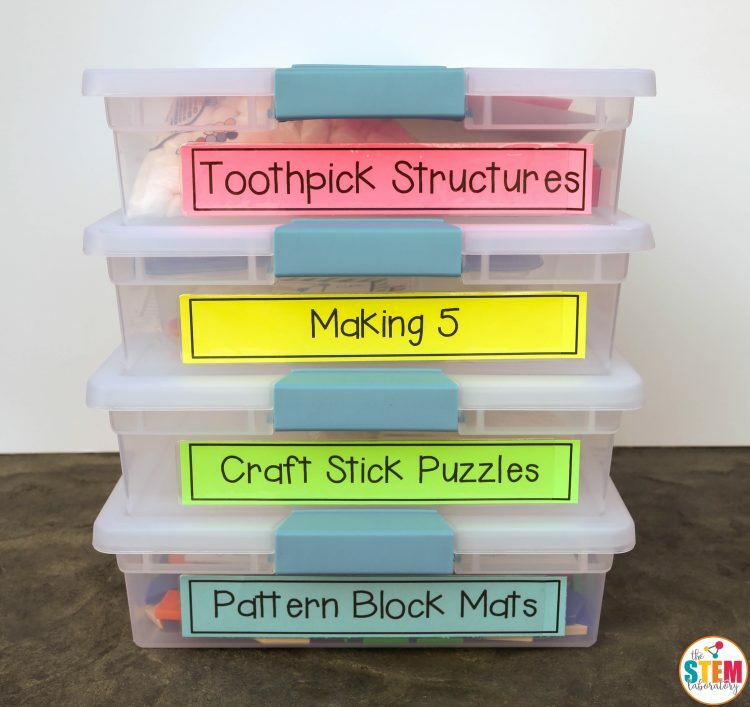 Easy peasy and so organized! Ready to start labeling?! 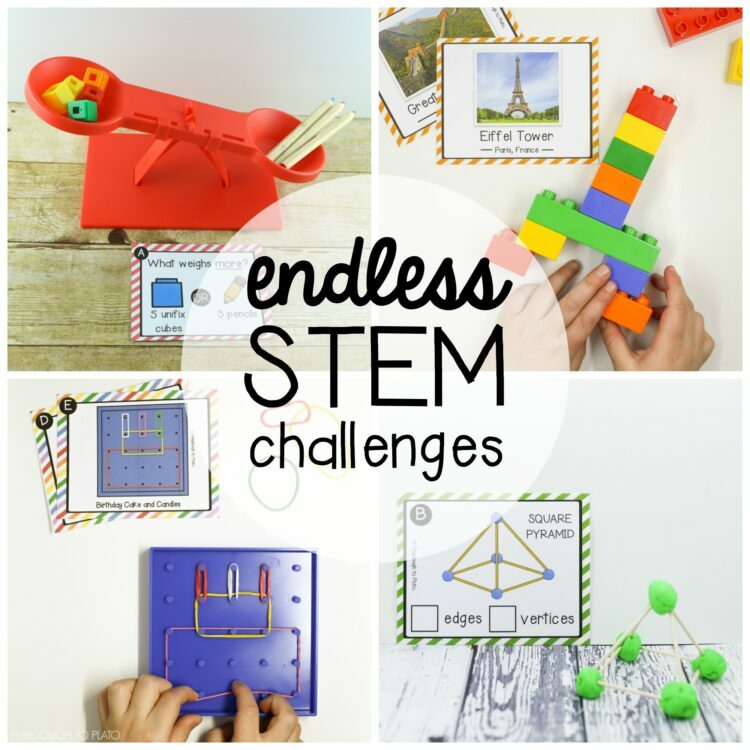 Click the blue download button below and then hop over to snag our Endless STEM Bundle too!